Encirclement of Russia: the war in Ngorno-Karabakh between Armenia and Azerbaijan: April 3, 2016: There have been military clashes between the armed forces of Armenia and Azerbaijan since the night of Friday to Saturday. Many deaths are reported. The strong fighting is reported between Martakert and Hadrut on the front line. The Armenian army based in Nagorno-Karabakh, mainly populated by Armenians,** reportedly shot down two drones, tanks and two helicopters according to sources of the Armenian news agency. 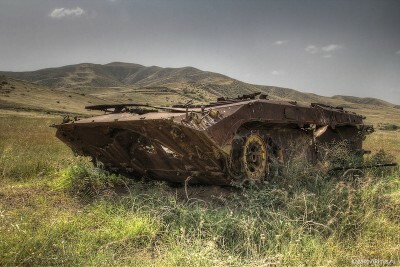 Baku announced that the Armenian army has lost a number of soldiers. Is it because Armenia refused to become a NATO base? According to the NATO website*** dated March 10, 2016 Armenia would be a basis for the establishment of partnerships. NATO would, therefore, try to support Armenia in its intent to keep Nagorno-Karabakh and to infiltrate the lines of Russian diplomacy? NATO has, in any case, the desire to open a new front against Russia, since, according Azernews article dated as of March 10, 2016, as on the NATO website, we clearly see NATO’s attempts to obtain agreements with Armenia and Azerbaijan to encircle Russia. Azerbaijan, which has been trying for years to distance itself from Russia has finally agreed to become the NATO base against Armenia since 10 March 2016. Azerbaijan, as an ally to Turkey including on the Armenian genocide issue and as a NATO partner, would attack Armenia to injure an ally to Russia, which refused to support NATO%? In any case, the war between NATO and Russia is resuming in Karabakh while NATO threatens Russia in Ukraine and in the Baltic countries. Since 2014 strong NATO troop movements have been observed in Central Europe. Night-time movements of NATO military convoys have been seen by people in Germany, Latvia, Estonia, Poland. In 2017 NATO must consolidate its troops in countries of the European Union border with Russia. With new fighting in Nagorno-Karabakh the threat of a Third World War is getting closer and NATO’s intent to encircle Russia is confirmed. The Russian President, as ever, calls for ceasefire! 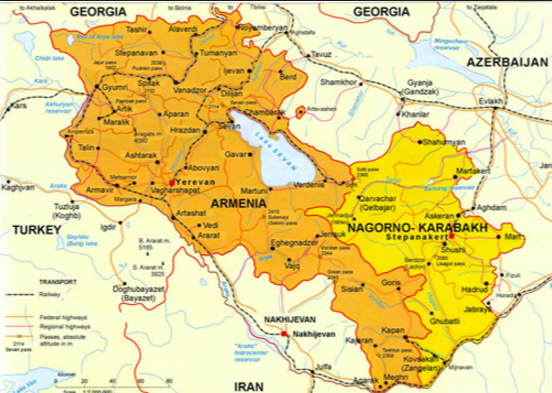 Translator’s note: in 1922 Stalin, as Commissar of Nationalities, assigned Ngorno-Karabakh on the west of Armenia to the Azerbaijan SSR, and also Nakhichevan from the east side of Armenia. 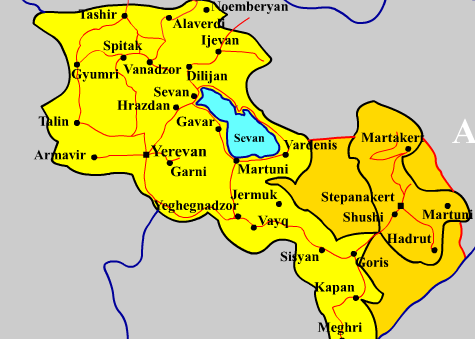 Today, there are no Armenians in Nakhichevan. The struggle parallels that over Crimea: In each case, the shibboleth of « Territorial Integrity » is the cover for the western world’s ignoring self-determination. In each case, « territorial integrity » sanctifies the whim of one man: Krushchev ‘voting’ for all of Crimea, and Stalin ‘voting’ for all of Karabakh. P.S. When I was last in Armenia, July 2010, maps were popular that included Karabakh as part of Armenia. ** Why the author has to say the Armenian Army is mainly staffed by Armenians is somewhere between odd and interesting.